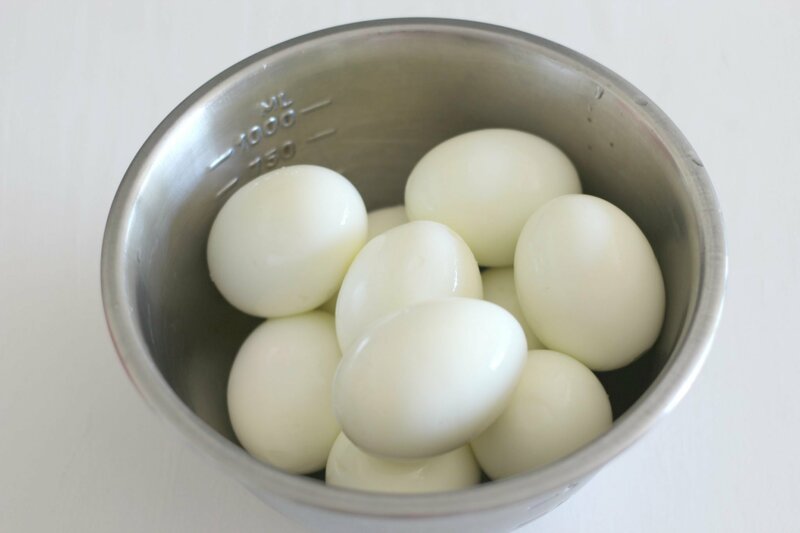 The plain and simple way to prepare hard boiled eggs. 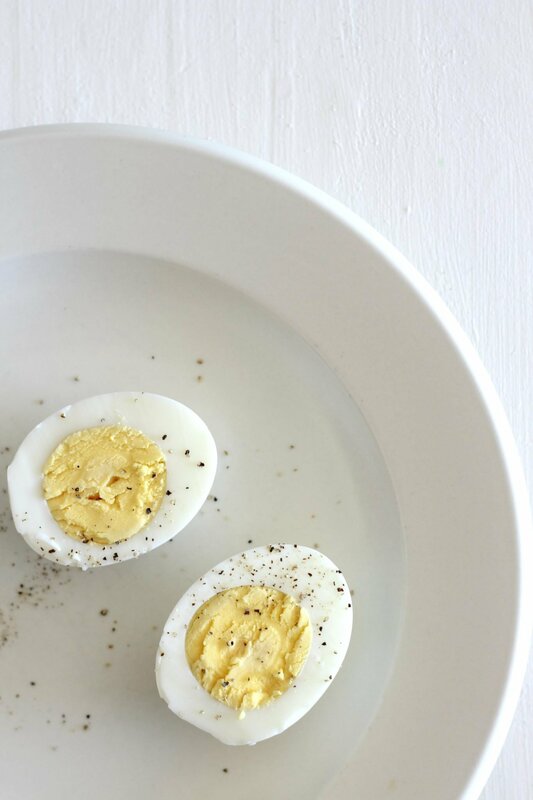 Hard boiled eggs are an easy way to get high-quality protein with a low amount of carbs and are a perfect on-the-go-snack. 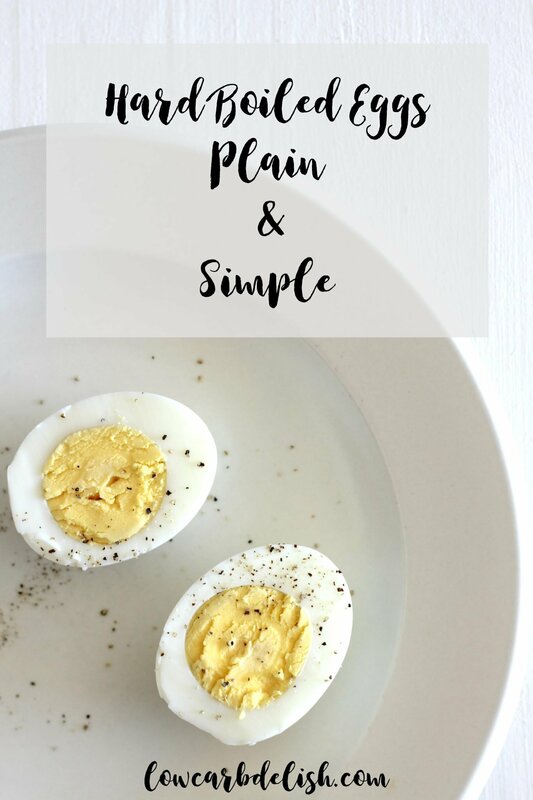 This seems like a silly recipe to write, but hard boiled eggs are pretty much a staple in a low carb eating plan. Eggs are a no-brainer with 0.6 grams of carbohydrates and 6 grams of protein. They are perfect to throw in a lunch box because they have their own packaging and don’t require any special utensils. 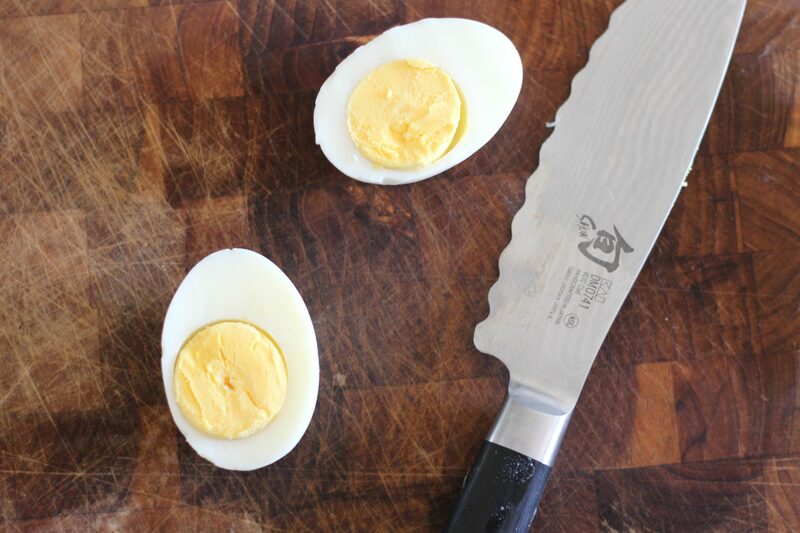 Did you know that there are a gazillion ways to make a hard boiled egg? I did a quick Google search and the variety of results are staggering. I’m not convinced one way is better than the other. I have seen eggs boiled on the stove, eggs baked in the oven and even eggs cooked in an Instant Pot. Now I don’t own an Instant Pot, but if I get one I am going to try hard-boiling my eggs in it. I have seen vinegar added to the water to supposedly help the eggs peel better and I have seen eggs stuck into the freezer to cool them quickly. Without trying every method it is difficult to say which one is best. 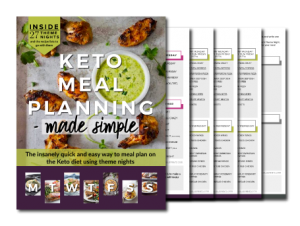 The method that I use is simple, effective and doesn’t require fancy equipment or vinegar. It only requires a pot, water, eggs, ice and a stove top. Place eggs in large saucepan, making sure there is room and they aren’t packed in there. Cover with 2 inches of water. Place the saucepan on stove and heat on high until boiling. 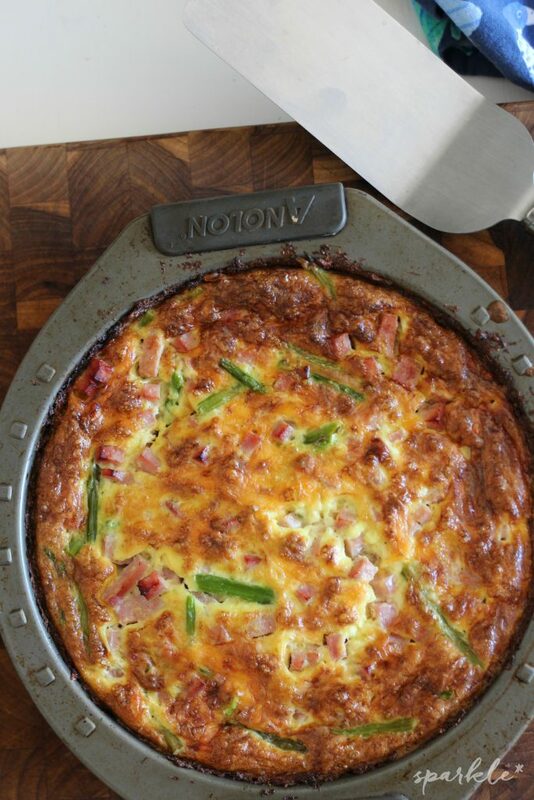 Remove from heat and cover pan with lid. Let sit for 20 minutes. After the 20 minutes is up place in an ice bath to stop the egg from cooking any longer. Sometimes I just rinse in cold water and then put the eggs in the freezer for 15 minutes. Peel the eggs immediately if you are planning on using them in a recipe like deviled eggs, since it’s just a little easier. Hard boiled eggs will safely keep for one week in the refrigerator, peeled or unpeeled. Add a little freshly ground pepper or some hot sauce to your hard boiled egg and you have yourself a perfect low carb/keto snack! One last thing! I hate wasting water, so after the boiled egg water cools, I always water my outdoor plants with it. You know, gotta conserve our resources! I’ve never tried this method – maybe next time. I just put them gently into a pot of boiling water for 9 minutes or so then into ice water. Admittedly, they do break if I’m not extremely careful putting them in the pot. yum. Thanks for joining the To Grandma’s House We Go link party! Hope to see you next week. I learned this tip a little over a year ago and its the only way I boil them now days. Thanks for sharing with SYC. Thanks for sharing at the Inspiration Spotlight party. sharing. See you again soon.